Notwithstanding the usual point-scoring and argy-bargy, once the SNP finally hammered out a deal with the Greens it was a foregone conclusion that the Scottish Government’s budget would be approved. Thing weren’t so simple when it came to Glasgow City Council’s crucial budget debate taking place on the same day last week. There were no prior guarantees of support forthcoming from the Greens for the ruling SNP. As well as Labour, they had their own budget proposals. Nothing, though, from the emboldened Tories. They didn’t even bother to make one up. Probably told not to by their London masters but happy to take part in the debate and deride everyone’s plans. Incredible! Given the important matters at stake. Namely, how was the beleaguered council going to fill a massive £41 million budget gap, an enormous financial black hole created, in part, by an inherited equal pay dispute which, after 12 years of wrangling, was eventually settled by the SNP for a whopping £500m? It’s a cost every Glaswegian is going to pay for, one way or another, in the coming years. I should point out I watched proceedings live on the cooncil’s webcast. It was passionate, boisterous, unruly and, ultimately, given the Glaswegian vernacular used by some of the councillors, and despite the nature of the debate, one of the funniest things I’ve ever seen. Ha ha ha, you don’t say! But, in all seriousness, this was crucial, controversial stuff being debated. As well as proposed bin collection changes, which will encourage fly-tipping and, indeed, more vermin, cash-strapped folk will again be paying more for less, with council tax rising 3%. Car parking charges will also be increased, this time by a whopping 40p an hour. Bus lane fines will also rise, which, along with a proposed staff car park tax, will make the city one of the most expensive to visit in the UK and will do nothing to help its ailing retail and night-time economies. Moreover, Glasgow, known fondly as the Dear Green Place for its abundance of large public parks, green spaces and lush gardens, is about to become a very dear place for festival-goers. The authority is proposing a punitive tax of £2.50 a head, on top of the booking fee to be slapped on every ticket sold for popular events such as TRNSMT and Summer Sessions, calling it an “environmental levy”. A completely mental levy, I say, which will price promoters out of Glasgow. They will just go elsewhere. I know times are hard, that the money has to be found from somewhere, that the council, like many around the country, is damned if it does and dammed if it doesn’t. But this isn’t the way to do it. You don’t get out of a hole by digging yourself in deeper. And certainly not when you don’t have the backing and support of the public or business. 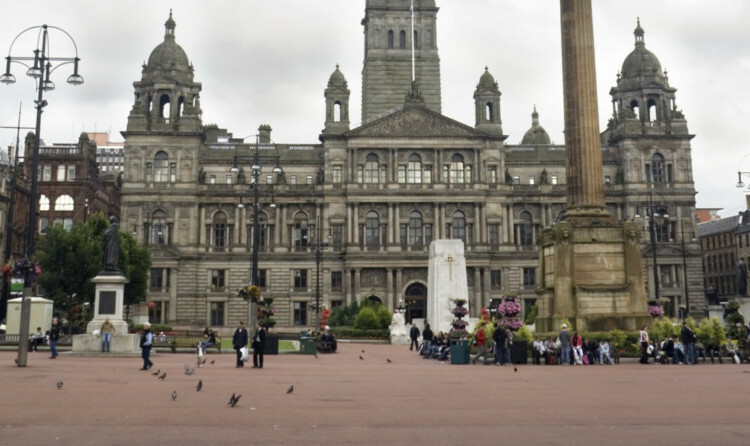 But with this punitive budget, Glasgow has put a spade in both hands. Unless it rethinks the proposals, it is in real danger of irreparably damaging the city’s hard-earned reputation as one of the friendliest, most humorous, musical and affordable cities in the world. Donald MacLeod: What did London do to deserve Extinction Rebellion, another bunch of deluded toffs and timewasters?